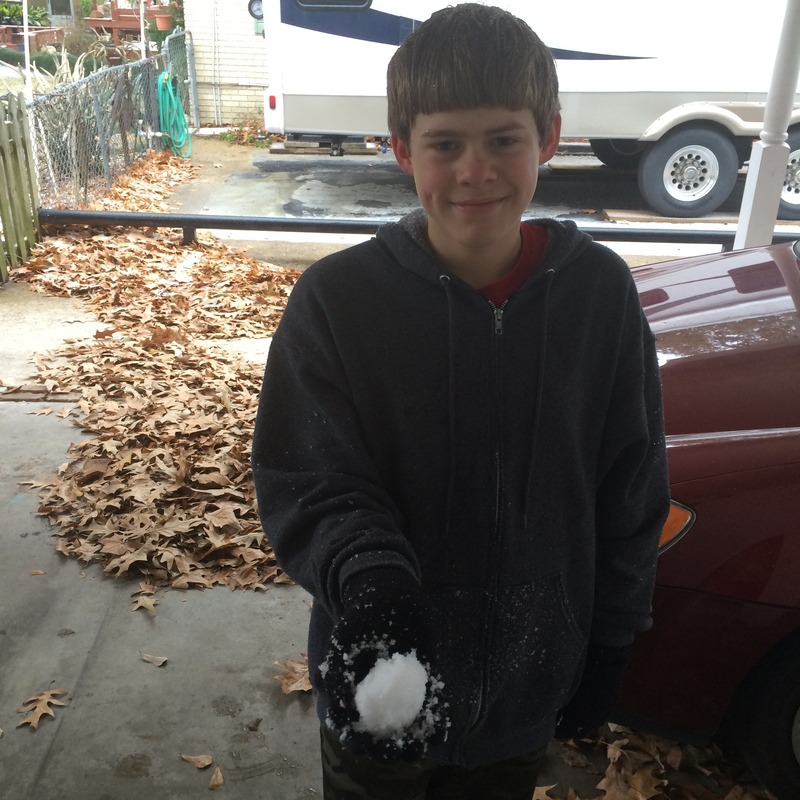 There’s hardly enough to make a even a tiny snowball, but that’s far more than we usually get here in Cajun Country. Louisiana winters aren’t known for being snowy or especially frigid. Typically it’s just wet and mild. Not today. It’s early afternoon, and the temperature outside is a chilly 27 degrees. It’s been sleeting since well before dawn. Our front lawn is one large icy patch, with accumulations of sleet piling up around trees and on cars. 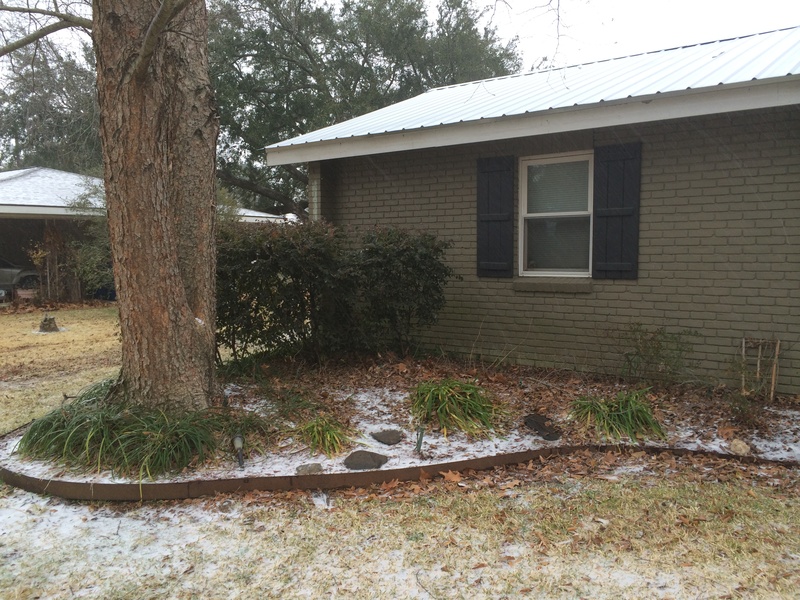 Icy precipitation collecting in front of our home … a rare sight for our mild Louisiana winters. The kids have been in and out all day, playing in the sleet and snow. Their cheeks and noses are red, fingers and toes are numb. It’s been joyous sort of day, spent enjoying every moment of the rare icy weather. I’m sure it is a day these children will long remember. After all, we may not be used to all the cold and snow, but we certainly know how to enjoy a snow day when it does come along! I remember snow days from my own childhood. Icicles hanging from the roof of my grandparents home during an especially big freeze one cold winter. Sledding down a big hill on a large piece of cardboard, squealing all the way down. Coming inside, to a warm house, welcomed by the smell of bacon frying in the kitchen. Nothing my mother cooked ever tasted quite so wonderful as those BLT sandwiches and the hot tomato soup. Even though it’s so very cold outside, I’m feeling all toasty warm on the inside, just remembering the joys I’ve had in previous winters and in the making of new happy snow day memories with my children. And in this moment, I’m perfectly content and exceeding grateful for those good memories the Lord allows me to recall, bringing to my mind the wonderful things He has done. Next Article And The Walls Came Tumbling Down! 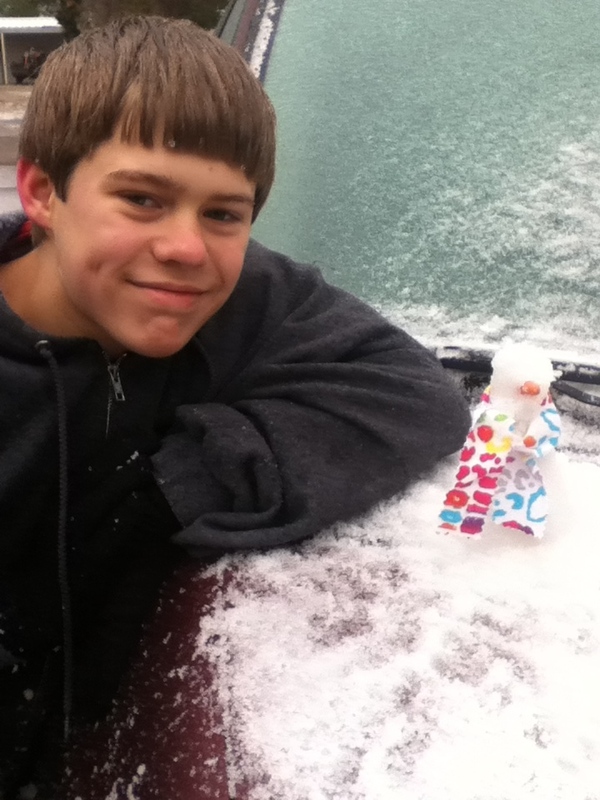 How very true that snow days make lasting memories. Very nice piece my dear.